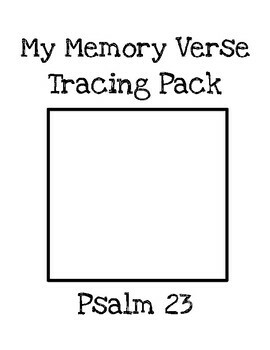 I printed the sixth verse of our Psalm 23 Bible Verse Tracer for the boys to work on this week. Parker traced and illustrated his verse. We continued lapbooking around the world with Kate and Mack. This week we were learning about Owa. The boys colored the flag and added a few sketches from this week’s reading. This week we were learning about words ending in words ending with -lf, -lk, -lp, and -nd. I created a Winter in the Mountains Worksheet for Parker to work on. Parker used his dot paints to complete his roll, read, and color worksheet. 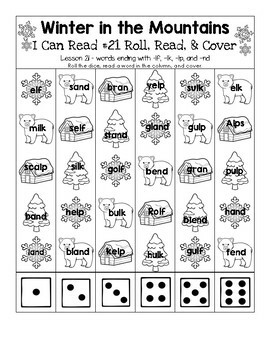 The following day he read and colored the remaining words on the Winter in the Mountains Worksheet. Parker continued to work through his winter readers. This week he read Annie and Snowball and the Shining Star and Henry and Mudge and a Very Merry Christmas. I know it’s way past Christmas, but he really wanted to finish them. He is SO my son! We continued to read about our amazing bodies. Today’s reading was a continuation of our skeleton. What if we didn’t have kneecaps and elbows? We tried moving without using them and quickly found out that life would be MUCH harder. I think both boys gave up at this point. Then we read about joints that work like hinges and joints that move in a more circular motion. We got up and tried to find examples of both. Get up and move breaks are ALWAYS good! We recently purchased Janod’s Human Body Magnet set and it went perfectly with our lesson on muscles. The boys helped put together all the muscles of the body. Then Jordan decided to put together the puzzle of the organs and blood vessels while Parker put together the skeleton. I found an awesome blood activity from Adventures in Mommydom. I created some 3×5 cards with instructions for us to follow. I gathered the ingredients we needed as well as our organ card from the Janod Human Body Magnet Kit. The boys and I took turns measuring the corn syrup. The corn syrup represents the plasma which carries food. We sorted through a box of Christmas Skittles, keeping the red and discarding (or eating) the green. I used food scissors to cut up some old red vines. I pinched myself something fierce….stale licorice isn’t easy to cut! Anyway, we used the red skittles and cut up licorice to represent our red blood cells. Jordan added the “red blood cells” (candy) to our “plasma” (corn syrup). Next, we used white gum balls for our white blood cells. The kids were all sick with a cold, so rather than just using one ball as a proper representation, we added a couple more since you’d find more when your body is fighting illness. Last, we used sprinkles to represent platelets and talked about how they help clot open wounds. Everyone helped shake some platelets into our ooey-gooey blood. There you have it….a nice fresh, sticky, batch of edible blood! Did they eat it? No way! Our dentist would not be happy, but they did snack on some candy during the process. And that ends our wonderful week of learning! See you next week (Sonlight Week 22)!